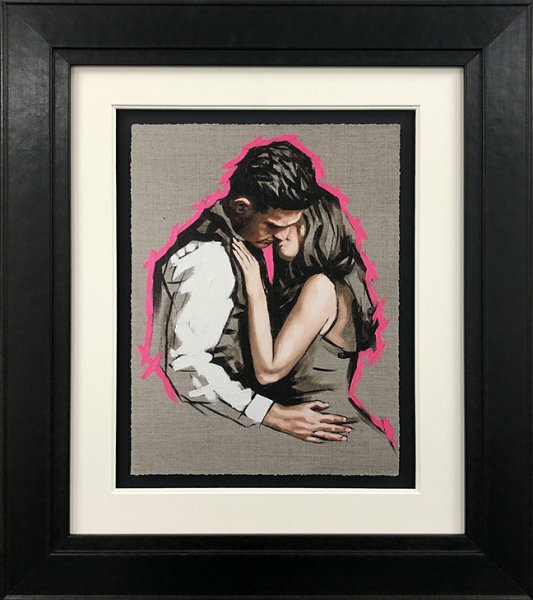 As Richard Blunt collectors know, the figurative artist knows romance. So we're extremely excited to announce the launch of a stunning new body of work this Valentine's Day. Following on from his packed artist appearance at Westover Gallery last November, debuting 'If These Walls Could Talk', we're thrilled to see Richard's latest collection out now and we're sure you will be too! Featuring limited edition artwork on Hand Embellished Canvas and Giclee Print on Paper. We're also very excited to see some fabulous Limited Edition Sketches that we know collectors will fall in love with! 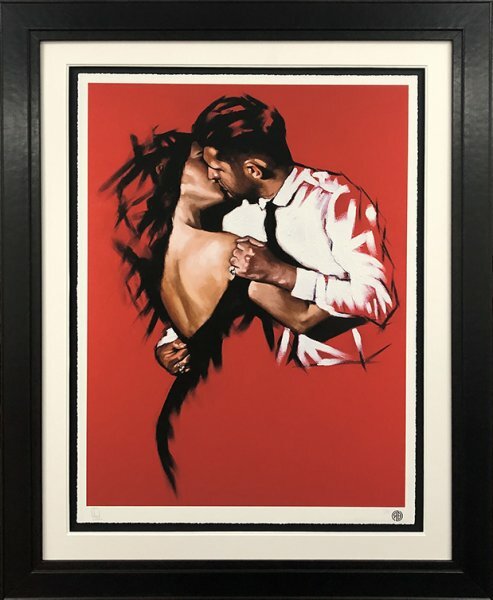 Exclusively for this release, both Limited Edition artworks, I Want All My Lasts To Be With You and You're All My Heart Ever Talks About, are available Hand Embellished on canvas in eye-catching Black Swept Frame. At 38" x 28" Framed Size, the black frame perfectly contrasts with the bold colours of the canvas. If a Giclee print on paper is more to your taste, editions of both I Want All My Lasts To Be With You and You're All My Heart Ever Talks About are available as Giclee paper prints in a Edition Size of just 25, with 5 Artist Proofs available. After the sketch releases of Richard's last collection we're thrilled to see further editions this Valentine's Day. If you're looking for a sketch but still love the colour of the originals, you'll be pleased to see that two of these feature bold pink outlines that really pop. 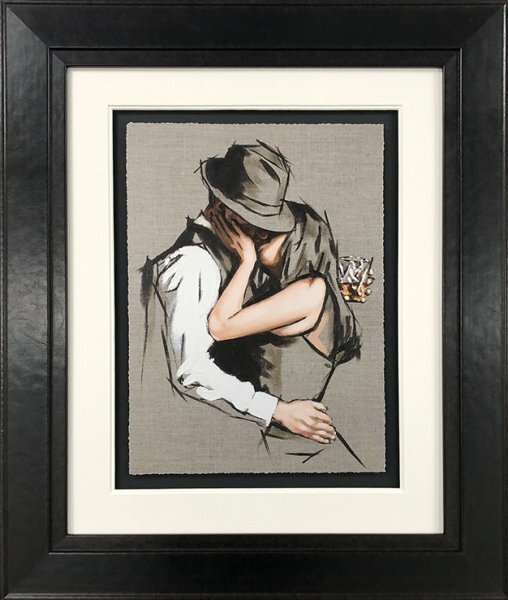 If you're looking for a traditional Richard Blunt sketch, both There's A Little Bit Of Devil In Her Angel Eyes and It Was Always You are excellent artworks that feature recurring themes of his work. 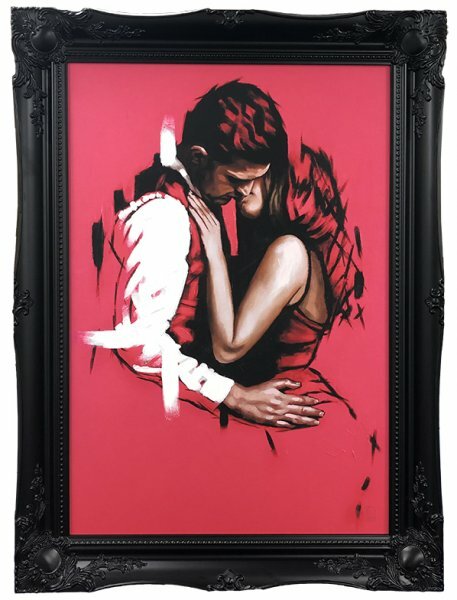 We're sure that fine art lovers will adore this new collection, and for Richard Blunt collectors, what more could you ask for this Valentine's Day?